August Outcome - 3:28 Min. 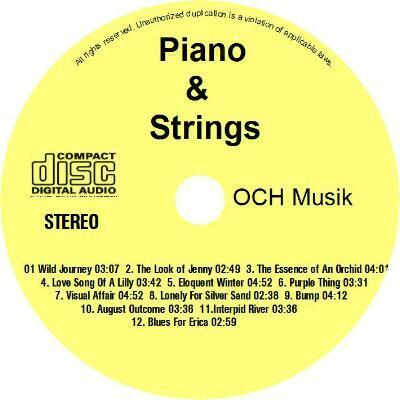 Piano und Strings Downloads-CD - 44:23 Min. Purple Thing - 3:33 Min. The Essence of An Orchid - 4:03 Min. The Look of Jenny - 2:51 Min. Visual Affair - 4:54 Min.